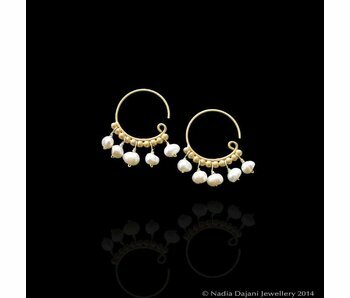 Inspired by earrings excavated at an archaeological site in the area of Gaza, and dating back to the Canaanite period. The Canaanites lived in the Land of Canaan, which is an area encompassing modern day Jordan, Palestine, Syria, and Lebanon. It was a Semitic-speaking region whose human habitation can be traced back to Mesolithic and Paleolithic times. Throughout the Middle Bronze Age (c.2000 - c.1550 BC) and the Late Bronze Age (c.1550 - c.1200 BC) Egyptian culture was instrumental in shaping Canaanite artistic processes. After invading the Land of Canaan in the Middle Bronze age, the Egyptians introduced gold into the region. Once combined with Canaanite interest in metallurgy, gold jewellery became ubiquitous across the Canaanite lands. Women wore gold earrings, such as these, which were forged from a single piece of solid gold that were hammered and cast into crescents. 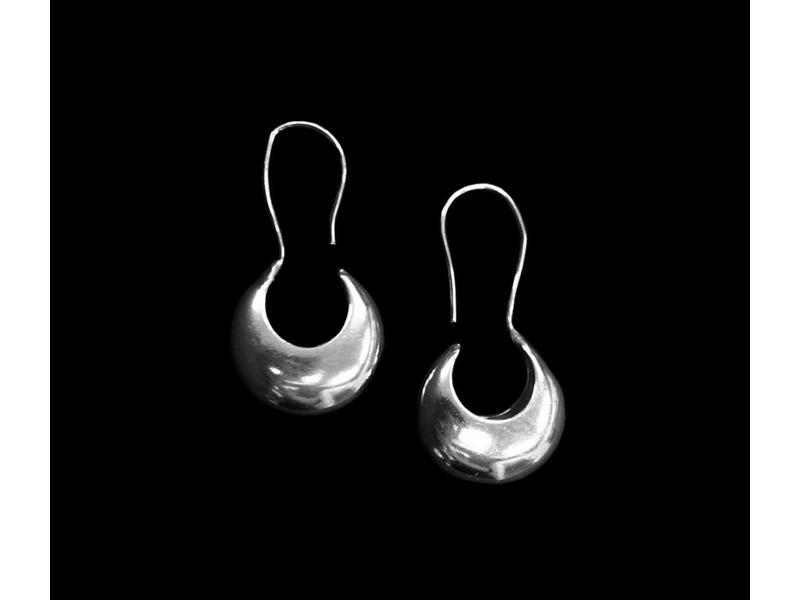 Our new Canaanite collection takes us back to our ancient Levantine roots, showcasing the timeless beauty of Canaanite jewellery. 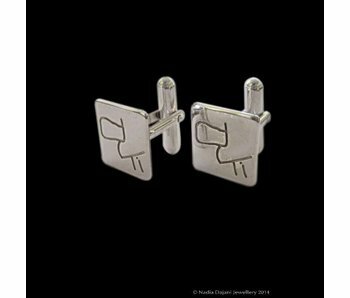 Square silver cufflinks, with the word 'Peace' inscribed in Nabataean calligraphy.